CIN - Chameleon Information Network Original Newsletters! 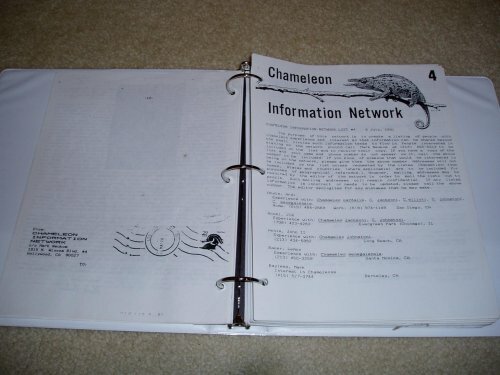 Original Issues of CIN - Chameleon Information Network - The Original Information Newsletter that gave keepers up to date info on keeping Chameleons before the internet!! These are all original, not copies and have my name on the address label. 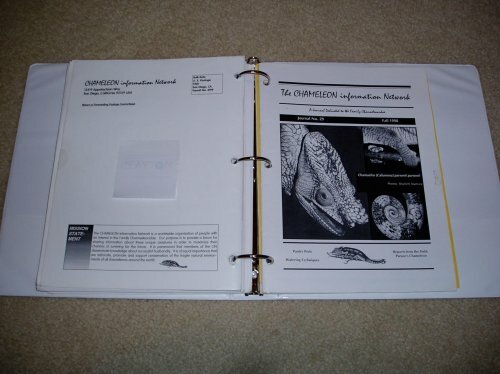 These are rare and supper hard to find and considered collectors items, the following issues are included as a set and are in custom made binders. There are a total of 29 issues in this set. Not included is Issue #21 & #30 through #36 and any issues from #38 on. I am asking $200.00 for the set; that's less than $7.00 an issue. Payment will be through PayPal and US priority shipping is included in the price; shipping to the lower 48 only. Please PM me if you are interested. Thanks! 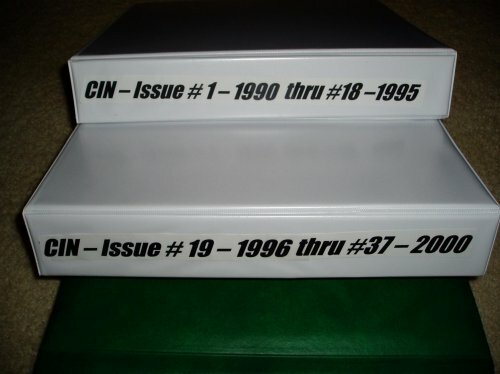 The price for the CIN Newsletters has been lowered to the first $120.00. priority shipping included!